To purchase a horse brass please contact me. Payments can be made via cheque, postal order or PayPal. 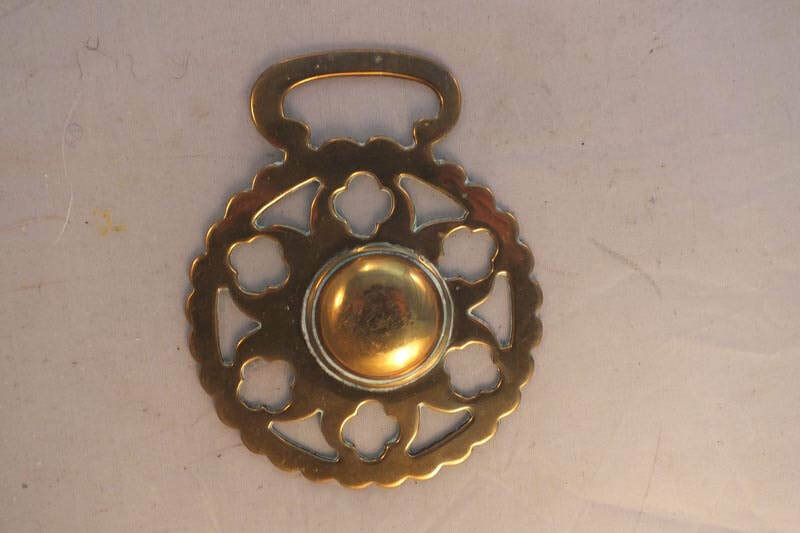 Measures - 4.00" x 2.75"
A Good Example of a Dome centre Stamped Horse Brass. 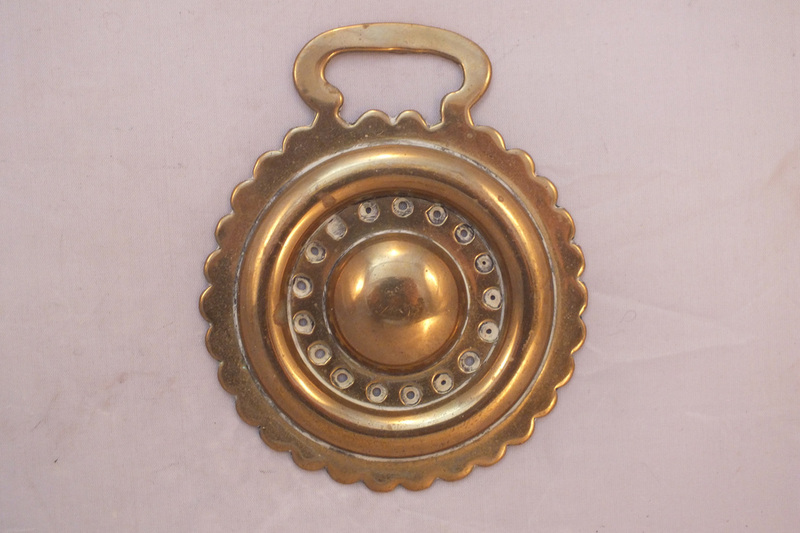 Measures - 4.00" x 3.25"
​A Superb 19th c. Bell Brass, with its clapper. Rare pair of 19th c. Flower centre horse brasses, one with a wavy edge & the other with a smooth edge, Having good Patina to their reverse. Both Measures : 3.75" x 3.00"
A Superb 19th c. Cast Horse Brass with Great Patina to its reverse, in Nice condition. 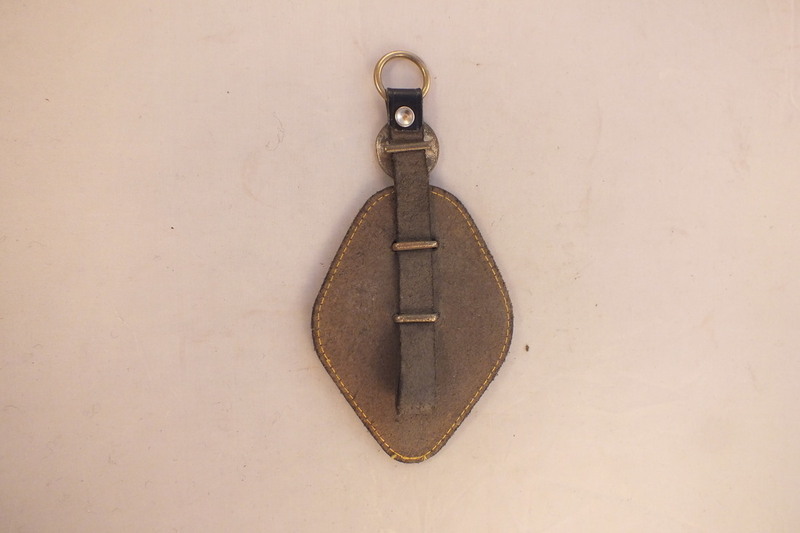 Measures :- 3.50" x 3.00"
Strap measures 6.75" x 3.50"
Cast Fish horse brass c.1900 Very Good Patina to its reverse. A Nice 19th c. Stamped Horse Brass, with a Dome centre. A Good, Large Hide shaped Cast Horse Brass, with excellent Patina to its reverse. Super condition. A Superb cast Armorial Horse Brass. With very good Patina to its reverse. 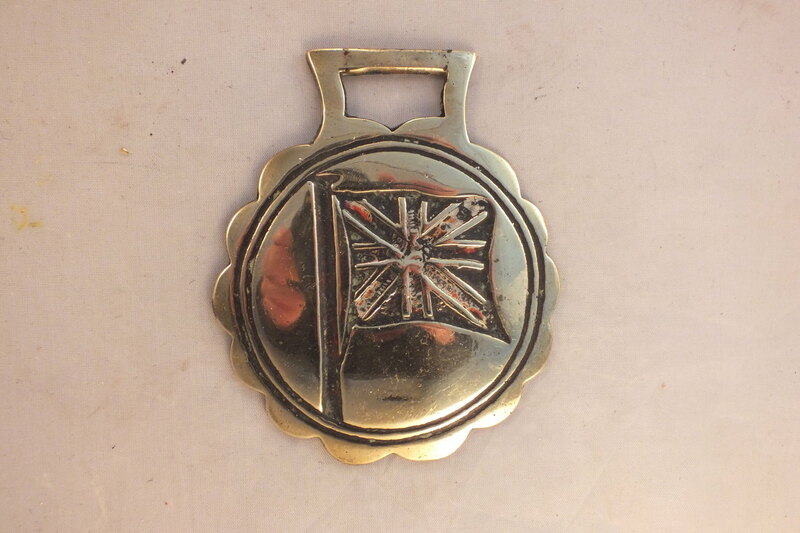 Measures :- 3.75" x 3.25"
A Good 19th c. Flag Horse Brass, made by W. O. W. William Overton of Walsall. Nice Patina to its reverse. 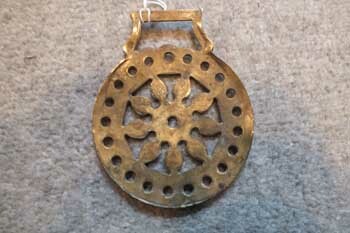 Measures : 3.75" x 3.25"
A lovely 19th c. geometric stamped horse brass, with fantastic patina to its reverse. Unusual 19th c. cast upturned Horse Brass, with very Good Patina to its reverse. 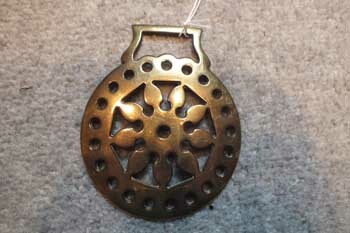 Measures :- 4.00" x 3.00"
A 19th c. attractive geometric horse brass, in good condition. ​A Good 19th c. Star Horse brass, with a Dome centre. A Nice 19th c. Stamped Geometric Horse Brass, with Good Patina to its reverse. A lovely 19th c. cast intaglio horse brass of a standing horse. In super condition. 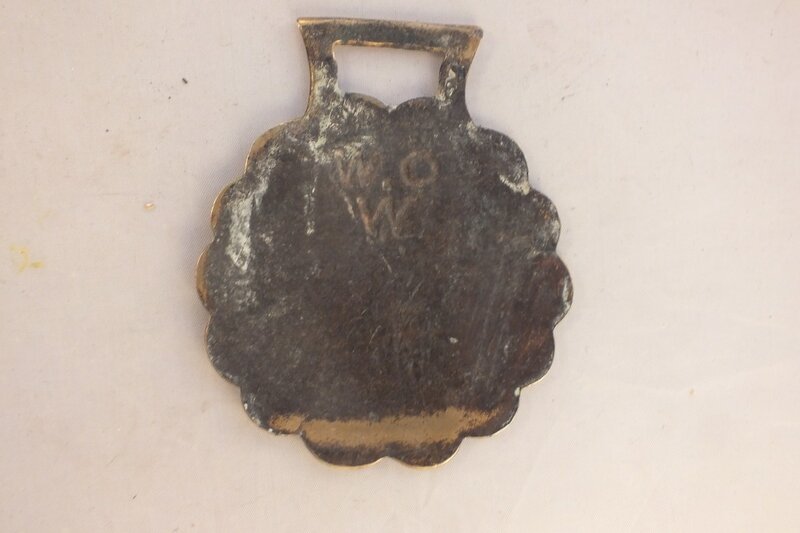 Measures 4" x 3"
19th c. cast horse brass, with a small heart in its centre. Measures 3.75" x 2.75" Excellent condition. 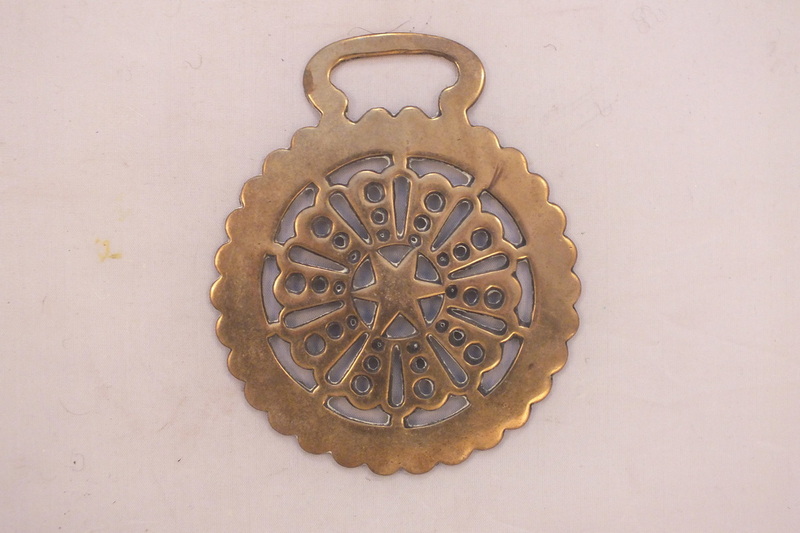 An Unusual 19th c. cast Star centre horse brass, with good Patina to its reverse. A good old cast horse brass, 19th c. rampant lion. excellent patina. 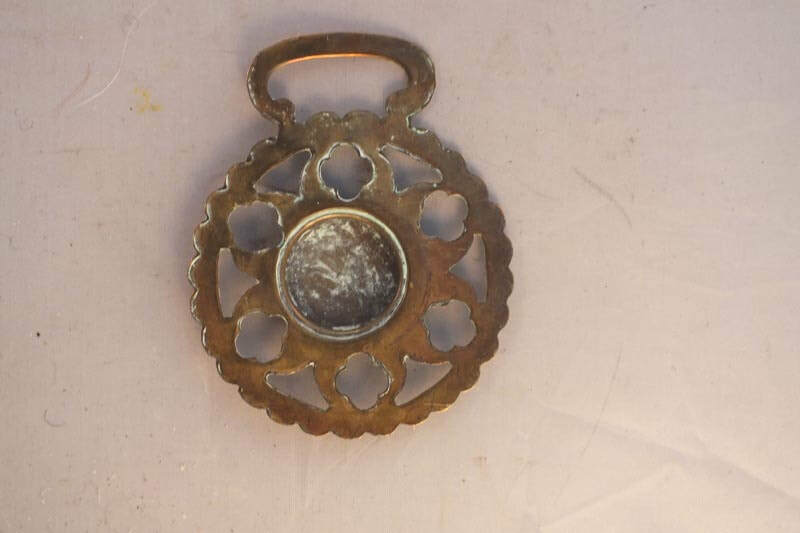 Measures 3.25" x 3.00"
A Pretty 19th c. horse brass, with good patina to its reverse. Measures :- 3.25" x 3.00"
An unusual, small cast trotting pony horse brass, with good patina to its reverse. 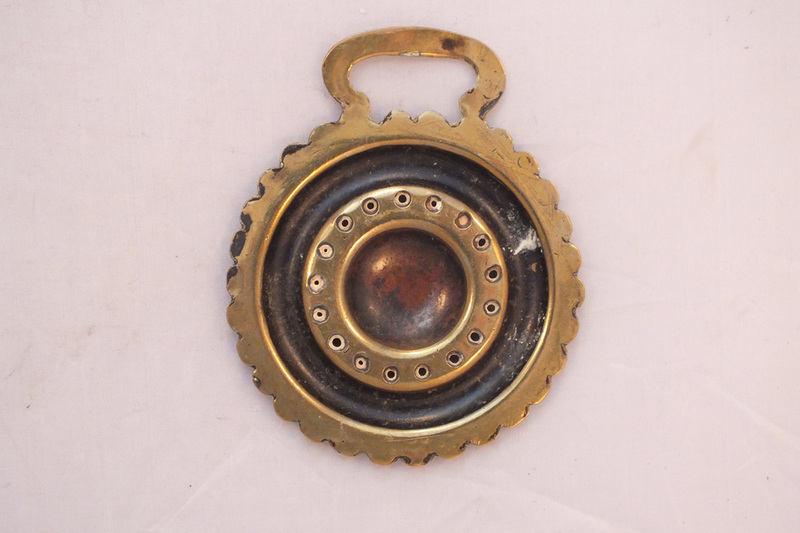 Measures 3.5" x 2.5"
A Good 19th c. Dome Centre horse brass. A large desirable Prince of Wales Feathers 19th c. horse brass. An attractive geometric, cast horse brass. 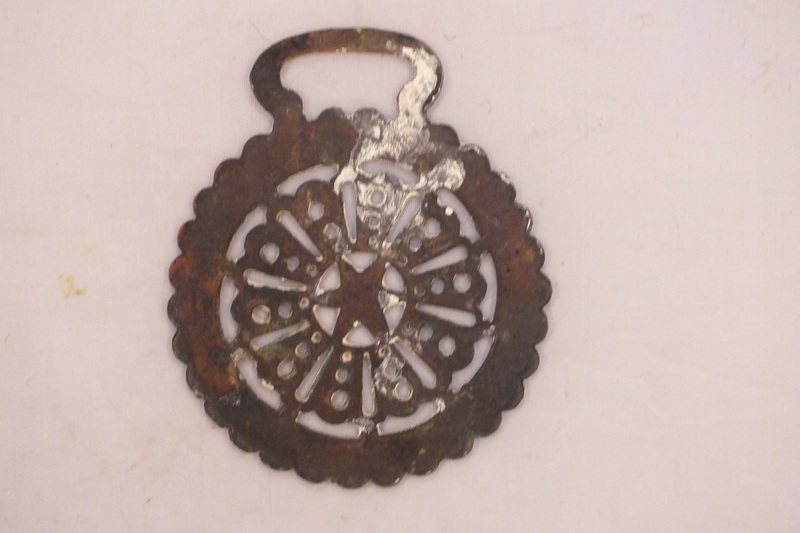 A good example, it has lovely patina to its reverse. Excellent patina to its reverse. A lovely 19th c. Rampant Horse cast horse brass. Good patina to its reverse. 1A very good example of a hide horse brass. 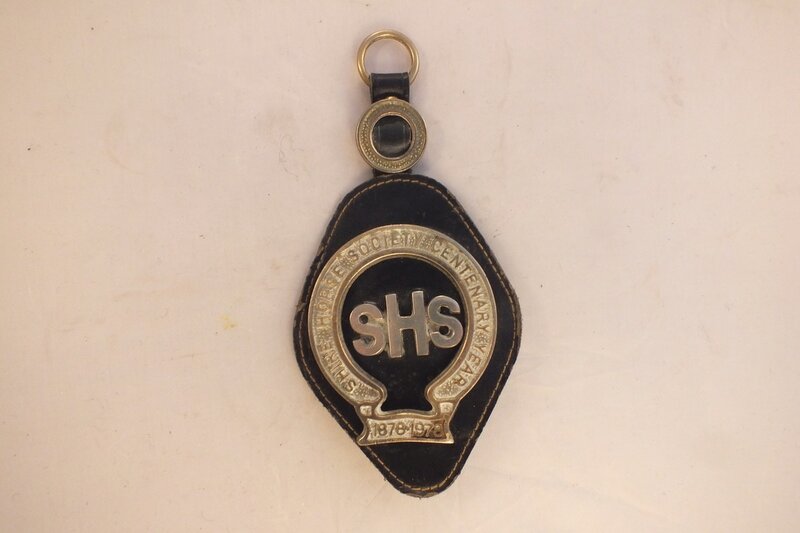 A nice example of a horse Intaglio horse brass, C. 1910. The engraving is in super condition. For PayPal payments please use p.cater123@btinternet.com. To pay via a bank transfer please contact me for details.